Dr. Kelly Fogleman is board-certified by the American College of Obstetrics and Gynecology. She specializes in Obstetrics and Gynecology. Made sure that I was well informed. Took her time to make sure that I was comfortable and knew exactly what the future plan was to be and accomplished. Very professional and thorough. She made me feel comfortable and I felt valued as a patient. Very friendly and even tho she was very busy she took the time with me and went over everything with me. Very helpful. I love her! She is amazing and even knew about my chronic illness! Love love love Dr Fogelman! Friendly and very professional . Even for the most awkward moment, she puts you at ease. Dr. Kelly Fogleman is board-certified by the American College of Obstetrics and Gynecology. She specializes in Obstetrics and Gynecology. 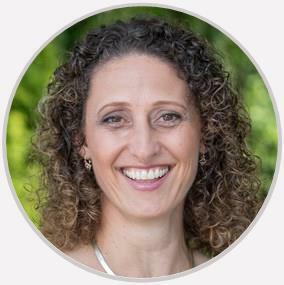 Dr. Fogleman is a native of Long Island, New York, who initially came to North Carolina to play soccer at Davidson College. She enjoys international travel, hiking, cooking, and spending time with her husband and two sons. Given her love of sports and competitive spirit, she plays in both adult kickball and soccer leagues. Dr. Fogleman also speaks Spanish. "I truly enjoy the many facets of being a general Ob-Gyn - from infertility and pregnancy care to surgery and menopause management." Accepting new patients: I am accepting new patients. Undergraduate Education: Bachelor of Science in Biology: 1997 Davidson College, Davidson, NC Graduate School Education: Doctor of Medicine: 2004 University of North Carolina, Chapel Hill, NC Residency: Chief Resident OB/GYN: 2008, Women & Infants' Hospital of Rhode Island at Brown University in Providence, RI. Board Certifications: American Board of Obstetrics & Gynecology: 2011 Affiliations: American College of Obstetrics & Gynecology, Fellow Honors & Awards: Doris Duke Clinical Research Fellowship: 2003 June C. Allcott Fellowship in Medicine: 2002, University of North Carolina School of Medicine Excellence in Community Service. Robert E. Bryan Public Service Fellowship: 2001, University of North Carolina at Chapel Hill, NC: To support service project spreading Hunger Lunch Program to other medical schools through creation of startup materials, presentations at international and national medical student meetings, and consultations with interested student groups. International Health Forum Fellowship: 2000, University of North Carolina School of Medicine, NC: To support 2-week intensive language course in Guatemala and a one-month stay at Nicaraguan orphanage to conduct a health assessment.